Our company is happy to provide long distance towing services for vehicles to other cities from the Toledo area. Whether you have a personal, commercial, semi, trailer, recreational vehicle or other heavy duty equipment that needs to be hauled long distance, we are the company to serve you. Our services are available 24 hours a day 7 days a week in any type of weather at any location. We will collect your property and care for it from beginning to end, bringing it to your desired destination safely and securely. Just call us and let us know the details, and we will be there swiftly to serve your needs. Toledo Towing Services is happy to provide our towing and long distance transportation services at competitive prices. Our professional towing representatives are well seasoned and they, as well as our vehicles, are licensed, bonded and insured for your security. They give utmost respect and care for your personal property, and will be in communication with you upon departure and arrival of your resources to their location. If you have any specific instructions, we are happy to follow them and serve any unique needs you might have. Our long distance towing professionals also have policies that they follow in terms of routinely checking the resources they travel with, ensuring the safety and security we promise from the beginning to the end of the trip. As a tow truck and long distance towing transportation services company, our customers are our priority. We understand that it takes a trusted professional to handle an individual’s resources, and we have committed to being that professional for you. We treat the resources that are in our care as if they were ours, so that our customers can see the value in what we do for them. Sometimes individuals do not have the time or resources to transport their belongings long distance, but we do. We also understand that reliability is key, and so that is what we have committed to in bringing what you need from A to B destination. If you have a time frame that a service needs to be completed in, our professionals can also handle your requests expeditiously to meet any time requirements you might have. 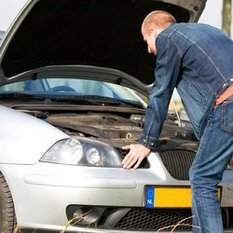 If you are in need of accident recovery services, wherever you are, please give us a call at 419-540-5214 and our customer service representatives will be happy to send a recovery professional to your location as soon as possible to assist you. You can also fill out the form at the top right hand side of the screen with any details regarding your situation, and an accident recovery specialist will contact you as soon as possible to resolve your situation. 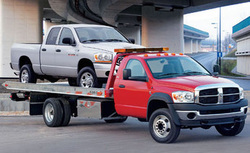 Our Emergency and Roadside Assistance Towing Trucks are prepared for almost any situation.